The Department of Planning, Transport and Infrastructure (DPTI) is committed to building the capability, confidence and resilience of Aboriginal and Torres Strait Islander people and will provide opportunities to enable young men and women to achieve their educational and employment goals. Being a large organisation, DPTI is able to provide diverse career opportunities, ranging from civil engineering, civil construction to administration roles in human resources, finance or information technology within metropolitan, regional and remote areas of South Australia. DPTI is also committed to the retention of an Aboriginal workforce by offering professional development and ongoing employment opportunities where possible. 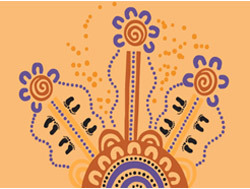 DPTI offers flexible working arrangements and is developing culturally inclusive work environments to assist Aboriginal employees to better meet their work and family obligations. Register your interest in employment @ DPTI.